Indotechboy — Downhill Xtreme (apk + obb) is a sport game for Android platfrom. 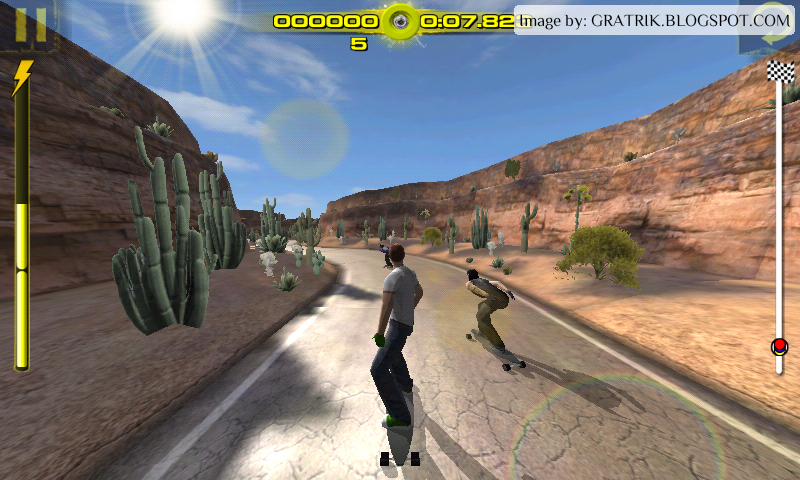 It is a sport game that adapted the downhill roller skating extreme sport. Well, downhill roller skating is not a popular sports or game compared to skateboard or ice skating. But it is a fun game I think. The good 3D graphic in Downhill Xtreme APK + OBB Android game is one of the main appeal from this game. The mountains and hill scenery or even the sun light reflected on the heat asphalt is look realistic. This game also packed to a size than can be classified to small remembering the nice 3D graphics. Although Downhill Xtreme Android game is composed with beautiful 3D graphic, it is surprisingly run with smooth on my singlecore Samsung Galaxy V Android phone with only 512 MB of RAM. I'm just disappoint with one thing from this Downhill Xtreme Android game: The developer has not updated this game anymore since 2013 藍 . Downhill Xtreme Android game (APK + Data OBB) is basically a game about Downhill roller skating sport. Play Downhill skating right now through you Android device touch screen, motion sensor, or compatible external controller including but not limited to MOGA. 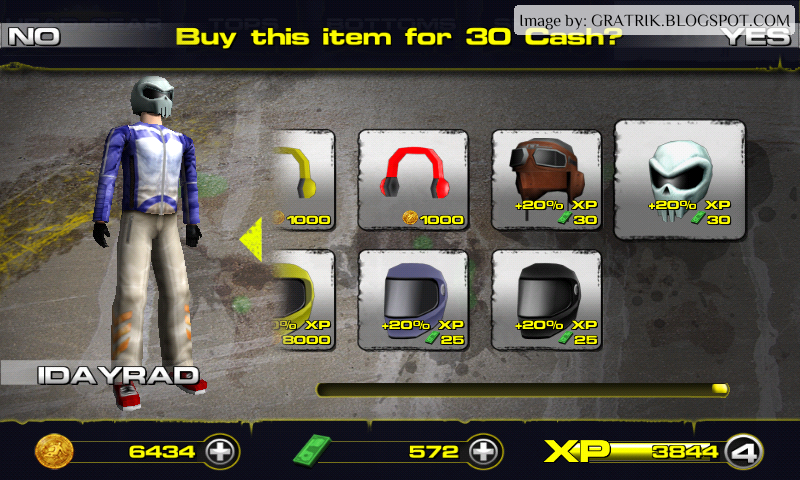 In Downhill Xtreme Android game, player can create his own skater, customize his appearance like equipping clothes and other gears. To have better chance in the next competition, don't forget to buy better boards with better speed and stability, or upgrade the existing board, or purchase power up items for a quick power up if the opponents giving you a hard time  . After all the preparation is finished, then we can just straight ahead to the available downhill skating race, put to a qualification race, and finally if we good enough to qualified then we can enter the main race and racing against other skaters in Downhill Xtreme Android game! Extract the Downhill Xtreme xapk.zip file. Move folder com.distinctivegames.longboard from the Downhill Xtreme xapk.zip extraction folder to your SdCard/Android/obb directory. Downhill Xtreme Android game is available for free on Play Store. Rate it and leave a nice review if you think the game is good. Comments (1) in "[176 MB] Downhill Xtreme APK + OBB Android Game Download + Review"
Help! why game want download data again? Install the .apk of Downhill.Xtreme.v.1.0.5.apk, don't install the one inside the xapk.zip. Read the instruction carefully.